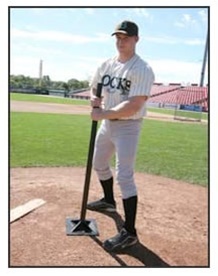 Pack dirt around home plate with this heavy duty, 10 sq. in. dirt tamp. No more broken handles with this solid, welded-steel construction tamp from ProMounds. This is the most rugged infield dirt tamp you will find on the market.